Get your free convenience stores insurance quote from RC Cook Insurance. Call 330-296-3628 for more information. We're located in Ravenna, OH. To cease worrying about this, contact RC Cook Insurance today. It is our business to take care of your protection gaps and to reduce your insurance costs. 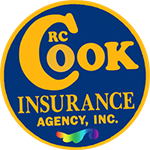 At RC Cook Insurance we have provided convenient store insurance for retailers in Ohio since 1960. To start to realize savings on your insurance, complete the Protection Savers Form today. You will be contacted by a convenience store insurance expert at RC Cook Insurance. After a brief discussion of your needs and objectives, we will craft an insurance program customized for your establishment. There will no protection gaps and we will begin plans to keep your insurance costs low immediately!